There are lots of ways to choose the perfect bottle of wine, from specific regions through to food matching and flavour profiles. If you're sick and tired of making the same selections, however, you can always get creative and choose wine based on your mood, your location, even your star sign. Let's take a playful look at how your horoscope could help you to uncover your new favourite wine. As the first of the fire signs, Arieans are outgoing, optimistic, and sometimes a little bit arrogant. While people born under the ram are not particularly fussy when it comes to their food and wine choices, they're likely to enjoy a bold drop with plenty of character over a light and zesty affair. Think full-bodied red wines such as Cabernet Sauvignon or our Artiste Shiraz. Taureans are an earthy lot, with the second sign of the zodiac known for being both stubborn and strong. Once again, red wine is likely to be the favourite choice, with our Impressionist Tempranillo and Artiste Merlot being two great choices. For Taureans who want to enjoy a nice glass of white wine, the richness of Chardonnay could be a great match. As the sign of the twins, Geminis are well known for their restless energy and social nature. The third sign of the zodiac is a mutable air sign, and there's nothing airier than a nice bottle of bubbly. While these social butterflies could probably live on champagne if allowed, Geminis may also enjoy our fruity and enthusiastic Impressionist Sauvignon Blanc. People born under Cancer can be difficult to pin down, with this cardinal water sign known for being highly emotional and wildly inconsistent. On a good day, this can lead to adventure followed by comfort and relaxation, which is perfectly paired with a nice glass of complex Artiste Shiraz or floral Artiste Viognier. Leo the Lion is proud and powerful, with a sense of confidence and self esteem that's sometimes mistaken for arrogance. Leos are also known for their strong sense of devotion and generosity, characteristics which are perfectly embodied by noble varietals such as Merlot and Cabernet Franc. Virgos are very goal-oriented and analytical, with this mutable earth sign often recognised by its strong perfectionist streak. When it comes to wine, the competitive and cerebral nature of Virgos often gravitates towards simple and refined whites such as Gruner Veltliner from Austria or our locally made Artiste Pinot Noir. 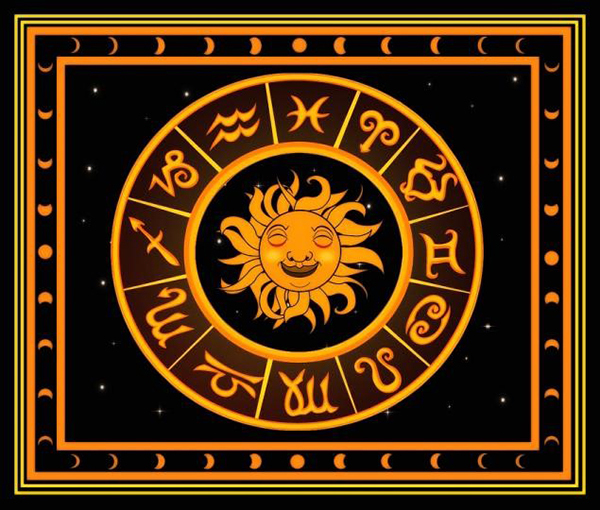 The seventh sign of the zodiac is all about balance, diplomacy, and thoughtful ambition through networking and relationship building. While socially adaptable Librans are likely to enjoy whatever's on offer in a social setting, in private they might gravitate towards a well-balanced Riesling or Sauvignon Blanc. Brooding Scorpios are intense, anti-authoritarian, and passionate with emotions that run deep. People born under this fixed water sign have probably never tried white wine in their lives, with their full attention given to dark and complex reds such as Sagrantinos, Bordeaux blends, or our locally made Impressionist Shiraz or Cabernet Sauvignon varietals. Vibrant and fun loving Sagittarians are known for their social nature and positive outlook on life. Their happy-go-lucky personalities and say-it-like-you-see-it attitude are well matched with fresh and zesty white wines, including our Artiste Pinot Grigio and the slightly fruitier Sauvignon Blanc. With a solid work ethic and all the patience under the sun, Capricorns know how to appreciate the good things in life, especially if they've had to work for them. Whether it's a robust red or a complex white, balanced and luxurious wines will always be their favourites. Think Shiraz, Merlot, maybe even a nice bottle of Port to celebrate a job well done. The 11th sign of the zodiac are independent free thinkers, with Aquarians not really interested in things like fashion and food trends. They're also more likely to feel a deep connection with the natural world. Organic and natural wines likely to be popular with Aquarians. Pisceans are the eternal optimists of the world, with their peaceful and reserved nature always searching for lightness and joy. A Piscean won't see the sense of a dark and brooding red. People born under this sign are much more likely to enjoy the company of friends and family with a glass or two of light Pinot Grigio or refreshing Artiste Sauvignon Blanc. While food pairing is popular for a good reason and wine education is always a good idea, finding new and creative ways to select wine is a great way to have fun and maybe even discover something you wouldn't have normally tried. At the end of the day, it doesn't matter what star sign you happen to be, learning to explore and embrace the wine drinking journey is the best way to discover new flavours.